Our town called Utuado is about half an hour south of Arecibo, home to the largest observatory in the world. I was told by a friend that many Puerto Ricans believe very strongly in intelligent existence outside our solar system; a belief that I understand is shared by many in Latin American cultures. Although I have yet to hear about this belief from anyone but him, well you know how these things go. According to him there is a reason the largest observatory, whose sole purpose is to confirm the existence of extra terrestrials, would be housed in Puerto Rico. According to him, these beliefs are shared by your average puertoriqueños, be they farmers, doctors, lawyers, professors, teachers, engineers, police officers, postal carriers, garbage collectors, or those whose previous occupations aren’t any longer discussed, and whose current occupations appear to be daily seat warmers in the local bars. 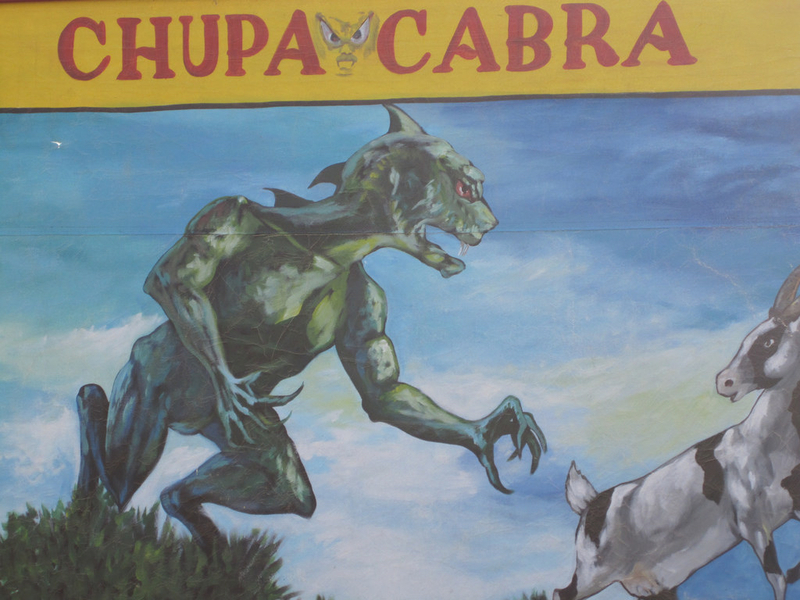 La Chupacabra, which literally means goatsucker, is a “visitor” from another planet, existing throughout South and Central America and the Caribbean. Not so welcome, he is very feared by animals, and of course owners of these animals due to his wide spread practice of sampling their blood, but leaving carcasses as evidence of his “visitation.” I am not so inclined to dismiss these theories as there appear to be many unexplained phenomena throughout the world that personally, lacking any other logical explanation, I, too, am willing to chalk up to a possible visitation. No “visit” with this friend of ours is complete without him mentioning some program he saw on TV about The Omni, Area 51, or a repeat of his favorite visitation story, which I believe we've heard at least 20 times, but to him it's as if it's the first time all over again. We listen as if we are hearing it for the first time, all over again. The story goes like this: a friend of his was driving along a road and suddenly his car went dead, he had the presence of mind to check his watch which read 10:10 p.m. He was stuck on this road for about ten minutes; car unable to start while flashes of life flew overhead. After several flashes of light and some thunder, the car started and he again had the presence of mind to check is watch, which now read 10:20 p.m.
We know not what to make of his friend’s story. Losing power in the tropics is all too common. It is especially normal in the countryside, along our mountainous roads where power lines are above ground and are susceptible to high winds, heavy rains, lightening, tree limbs crossing above power lines and the occasional drunken driver. The people who work on the ground for the electric company do their best to get to blown fuses in transformers and other issues in the timely manner. Although it seems like forever when you need power, when taking into account that it's unlikely we're the only ones without power, it's all rather quick. The next time we see this couple, we get to hear all about the outage and visitation discussed in its minutia; the longer the outage, the longer the visitation and purpose for said visitation. At this point, I have learned to nod my head and agree. We’ll only be able to get away with that for so long though. 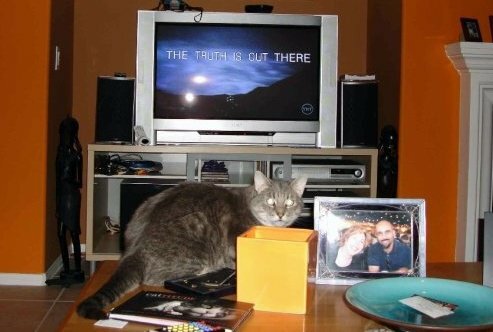 I named my cat Mulder so I must on some level want to believe also.